Without question, my favorite holiday of the year is New Year’s Eve / Day. Not because I want to treat it as a party or because I’m looking for a fresh start but because it is simply the greatest two days to be a college football fan! This afternoon, Alabama and Washington will play the first playoff game and then my beloved Ohio State Buckeyes will endure a titanic struggle with the University of Clemson. I truly can’t wait! It seems like a lifetime ago since the final four playoff teams were announced, but on that selection Sunday, a lot was made of the way teams were selected. Because Washington made it, experts wondered, does this mean that nonconference schedules don’t matter and that teams should just focus on winning their conference? Because Ohio State made it, those same experts wondered, does this mean that conference championships don’t matter and teams just need to play tough nonconference games? Who’s right? Neither. Want to be in the playoff? The recipe is simple; Be Great. Dominate the teams in front of you and leave no question in the minds of anyone that you belong there. (that’s how Alabama got in) There’s a huge lesson from this that can be applied to professional life. If we want to be selected, if we want to stand out and if we want to make the playoff of our lives, all we have to do is be great. We must dominate the obstacles in front of us and leave no question in minds of anyone that we belong there. Beginning with ourselves. When we show up and dominate and look like we belong, it doesn’t matter how weak our competition is, people will take notice because we pass the eye test. Those that don’t get selected may question if we belong and what the qualifications actually mean, but if we’re in, it doesn’t matter. Let 2017 be the year you choose to be great. Convince yourself that you’re ready to be dominate and leave no question in the minds of anyone that you belong. This is your year, go make it happen. Oh yeah, and GO BUCKS! 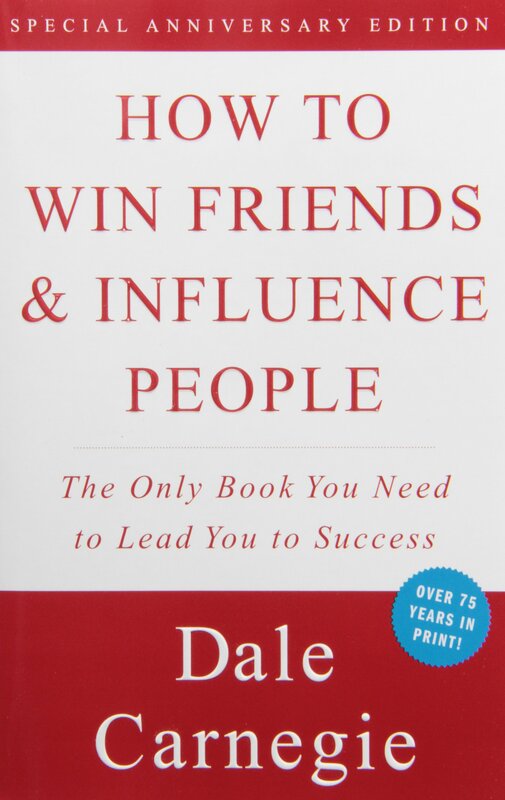 Dale Carnegie’s classic how-to tome for dealing with people is a timeless book that never goes out of style. I make it a point to read it once every year because I still get a great lesson every time that I do. This book should be on your January reading list because nearly every problem we encounter is related to the dealing of people and the solution can be found in these pages. There is so much to be gleaned that its worth the reminder even if you’ve read it before. 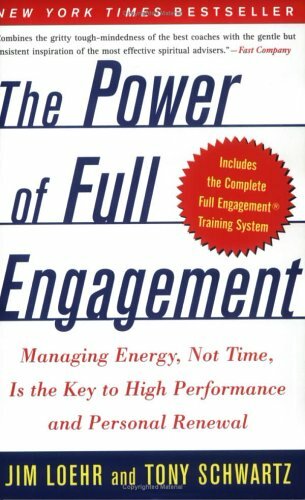 A great 2017 will require great people skills, further develop yours by reading How To Win Friends and Influence People in January. 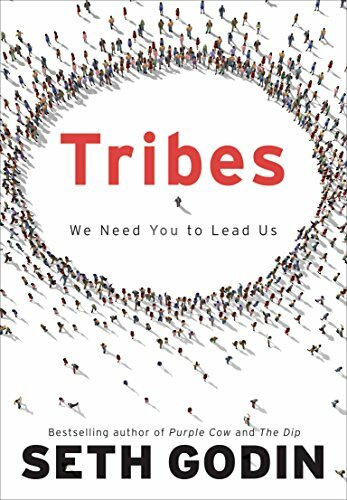 Seth Godin has written a lot of great books and his daily blog should be required reading for all of us, but my favorite book he’s written is Tribes. His brilliance comes from the fact that he argues that now is our time to build a movement followers based on mutual interests. If you’re working in the Slash/Economy, building a tribe is as critical to your success. This book shows you exactly how to do that. We must find and connect with people of mutual interests to further our ambitions if we’re going to make 2017 our year. That’s why Tribes should be on our January reading list. I love the last week of the year. Especially at the gym. This week, the squat racks are empty and the benches are available. It’s a stark contrast to next week when the New Years Resolutioners, the New Year New Me Crowd, will invade our friendly confines making it impossible to get on the equipment in a timely manner. Every year, it’s the same, and every year, they’re all gone by Valentine’s Day. I will never vilify people who are interesting in making themselves better, but most of us go about it the wrong way. We start with great intentions but those eventually fade and the resolutions we made fade with them. The truth is resolutions don’t work. Plans do. Starting 2017 strong starts with using this last week of 2016 to finalize those plans. A great plan will, as I laid out in November, identify what we want, why we want it and the action steps required to get it. If we took the time to list these, now is the time to go back through it and make our last minute edits. If we let it slip through the cracks our calendars, now is the time to answer those questions. As we make our edits, we should do all we can to include three critical elements. The more emotion we put into this plan, the more power we have to stick to it when times get tough. It’s the emotion that keeps us going back to the gym, not the logic. It’s hard to get excited about small goals. Make our plans as BIG as we can to keep us motivated throughout the entire year. Don’t you find those people that brag about getting up so early annoying? I certainly do, and I won’t brag about getting up at 5 am every day, but I do it. I didn’t say that I like it, but I’ve committed to it and here’s why: There aren’t enough hours in the day to be a Slasher unless you expand your day. If I don’t use my mornings before my family is moving around, I’m forced to choose between spending time with them or writing/marketing/preparing/branding. I refuse to make that choice, so I start early. There are those that don’t but choose to stay up late. I won’t say they’re wrong, but I know there’s always a chance that something (probably sleep) will pull me away if I don’t do it first. If you choose to wait, be warned this can happen to you. The dark secret that no one talks about in this Slash/Economy is the amount of energy required to be great at more than one thing. Working one fulltime job can wear you out, killing it at two and keeping the commitments of being a friend and family member can downright take it out of you. For this reason, it’s my belief that it’s an absolute must that we take care of ourselves and commit to getting in great shape. I love virtually anything sweet. Candy, cakes, coke…but the crashes they bring, the insulin resistant fog and the inability to make it past 3:00 pm without a nap aren’t worth the taste. When I tell people to control their diet, it’s not because I think I’m a medical professional, but because I know the difference it’s made with my own energy levels. Make your commitment, take control of your diet and find a way to move. Trust me, you’ll need the energy. There’s an old saying that do what you love and you’ll never work again. It’s great advice to end up broke because very few of us can feed our families only doing what we love. That said, at least one side of our slash needs to be something we love doing. That love with fuel the passion for getting up early and staying up late to get better. Success in the Slash/Economy starts with love. In talking with friends of mine that are making it big in the Slash/Economy, they’re all doing it because it’s fun and they love it, but at the same time, they do it consistently as if they had to. Doing it when you want to is a hobby and there’s nothing wrong with that, but having a second career requires a mindset of viewing both sides of our slash as work. Working two fulltime jobs while having a family and other commitments requires above all things, the ability to bend time to meet our needs. The biggest lesson I’ve learned in my time as a Slasher has been that I absolutely must keep myself scheduled in a calendar that I can trust myself to look at. This means keeping everything in one place no matter how big or how small. If we’re going to do everything well, we must be ruthless with our time. The difference between a professional and a hobbyist is a commitment to excellence. It’s not enough to be good at one career and great at the other. If we’re going to use a slash to describe ourselves, we must be great at both. This takes time and it takes commitment, but more than anything it requires that we choose to obsess over both our careers until we’re truly great at both of them. This week, I’ve spent a great deal of time looking back on 2016. Monday, I highlighted the three biggest lessons I learned this year.On Wednesday, I featured the top five apps I used in 2016, but today, I look forward to the ten most important things we can do to build better personal brands in 2017. The most important step to take for a better personal brand in 2016 is making a plan. I love Brendon Burchard’s approach of focusing on developing a different skill every month. This requires making a plan before 2017 starts assigning the skill to the month. This seems like a really small thing, but getting all of our commitments out our heads and into one place we can trust to look will save mental energy for battles that matter. One of the biggest keys to a great personal brand is self-confidence. One of the best ways to build and maintain more confidence is having goals and plans. If we’re writing our goals every day, we keep them fresh in our minds and build the kind of confidence that inspires it in others. By picking great books, trade journals, blogs and newsletters, and blocking time on on calendars to build our knowledge base, we can further establish ourselves as experts. Block out the hour and see your reputation grow. My mentor told me to buy the best pen I could afford. It’s not to impress others, but to remind myself every time I take a note that I’m a professional. Having a great pen in your pocket will inspire you to take more notes and feel better when you do. Like great coaching, writing forces clarity. More than that, however, it helps to establish credibility as an expert. Use LinkedIn, your own blog or your company website, but commit to putting out one piece of content every week. I have found that very few things will help set us apart from our competition more than being an effective public speaker. This isn’t something that comes naturally to everyone. If it doesn’t for you, get professional help and make your presentations a key part of building a better brand. What I get from Toastmasters is a guaranteed audience to practice in front of and safe place to fail with instant feedback. After getting professional help, get your stage time and join Toastmasters. I have written several posts about the most underrated app that I know of, Google Keep. Some people dismiss it because they want it to be Evernote, but it was never intended to be as robust, it’s awesomeness lies in its simplicity. I use Google Keep to manage all of my task lists, to plan presentations, for quick notes and reminders and to clear my head. Color coded post-it notes that sit on my desktop, phone and tablet and sync between all devices are incredibly handy. I can’t recommend this app highly enough and if you aren’t using it, you ought to be. Think about the huge list of things that we know we should do every day yet somehow can’t get around to. This is how I felt about journaling, tracking my workouts and logging my meals. That’s when I discovered Coach.Me. It’s a very simple app that tracks your progress with any goal you enter, gives you daily reminders and gives you credit for building a streak. The biggest thing that has ever held me back with some of my small disciplines has been a lack of accountability. Coach.Me gives me the accountability I need and keeps me moving in the direction of my goals. I love YoutTube. I love how there are so many awesome lectures, books, songs and speakers that we can access for free. What I don’t love about YouTube is that unless you pay for YouTube Red, you can’t do something else while the video is playing. Enter a simple solution: Audiopocket. All I have to do is find the video that I want to listen to, hit the share button and send it to Audiopocket. This awesome app converts the video to an audio file and streams it to my device, giving the flexibility to listen to any YouTube video while I drive, work or workout. It’s a great app that allows me to listen to whatever I want, whenever I want and it’s free. After climbing the mountain of 2016, we can almost see the summit. We get this week, the scheduling train wreck that is the week leading up to Christmas and then we’re standing on the precipice of 2017. Just like any good climb, I’ve learned some things along the way this year that I believe are worth sharing. Over the Fourth of July Holiday this year, I made the leap from the incredibly simplistic Google Sites website that I had been using to a more professional WordPress site. When I started, I knew nothing about web design, hosting my own website, or putting one together. I did know that I had to figure it out. I still have a ton to learn and I don’t intend to stop trying to get better, but figuring this out has given me a confidence boost that I never expected. I made a commitment at the end of 2015 to take my speaking and coaching business to the next level but I had no idea where I was going. One of the biggest lessons I’ve learned this year, however, is that people love to be consulted for advice. In 2016, I’ve been blessed with the advice of a lot of great people about marketing, business administration, leadership and presenting. I’ve learned this year that if you ask for help in an honest and genuine way, people love to help, they’re just waiting to be asked.